Welcome to one of our newest advertisers! 2 Cutie Patooties consultant Teresa Giltner offers “boutique style” shopping in the comfort of your hostess’s home! Headquartered in Savannah Georgia, 2 Cutie Patooties is an embroidery and gift store specializing in the highest quality items; incorporating the newest trends with the ageless Southern Tradition of personalization. Personalization of their products is always included in the price! Love that! Products range from the traditional bags to children’s clothing and backpacks, to items for the man in your life, like customized golf-club socks. Have you ever wondered why someone’s golf clubs need to be kept warm? I have. 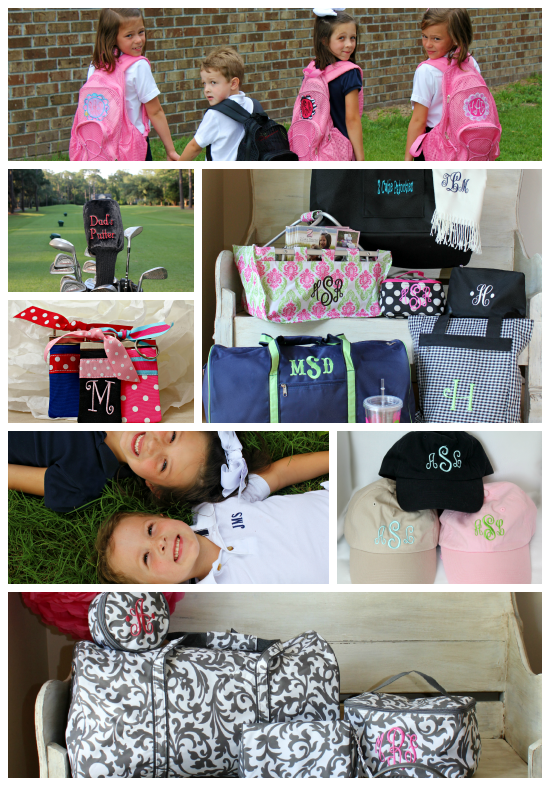 However, if you’re going to do it anyway, you may as well monogram it and make it cute. Thanks to Teresa for supporting PwcMoms.com, and we hope you’ll support her, too! Be sure to let her know that PwcMoms sent you, when you order or book your party!